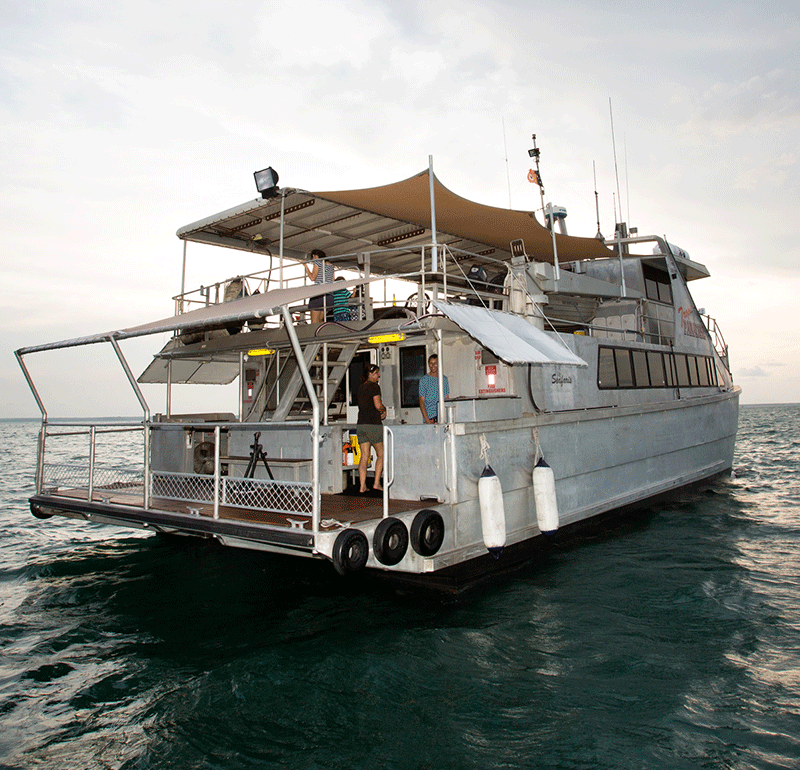 Tropic Paradise is a purpose built Mothership accommodation vessel giving you a home away from home on the water. 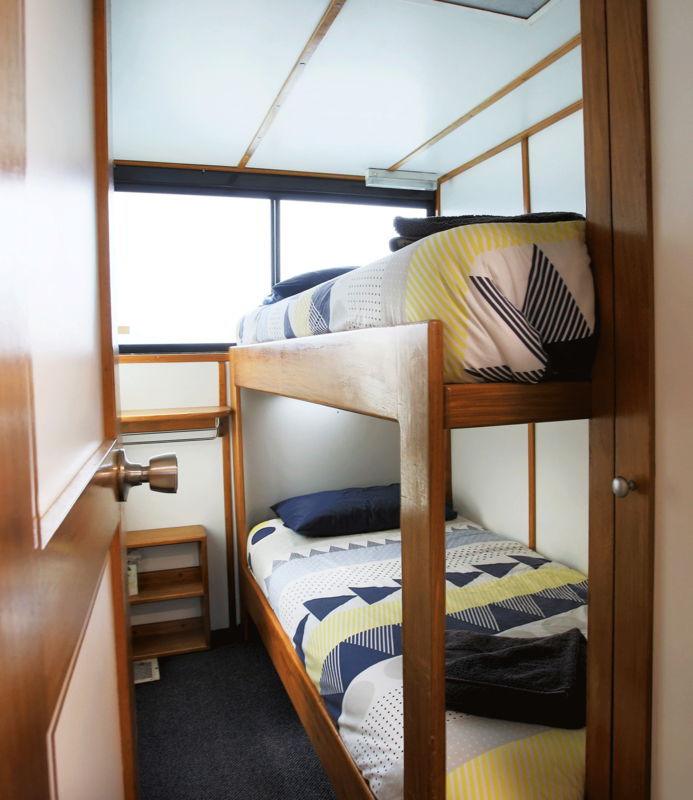 All cabins are located on the main deck, they have large windows for natural ventilation and are air-conditioned with built in cupboards. 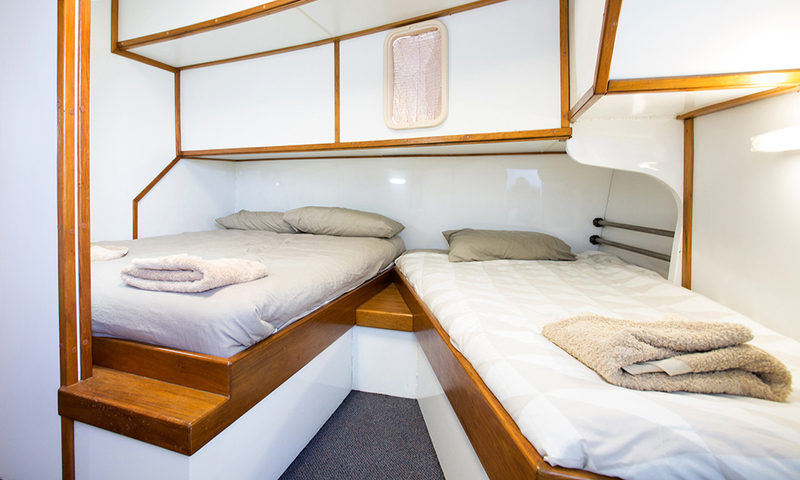 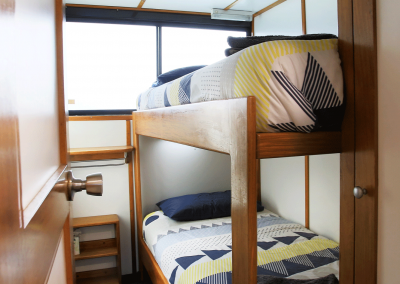 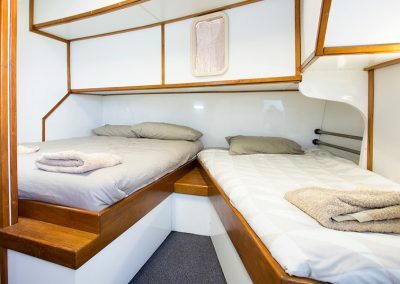 There are 4 cabins with household size double bunks and 2 cabins with a double and single bed and ensuite. 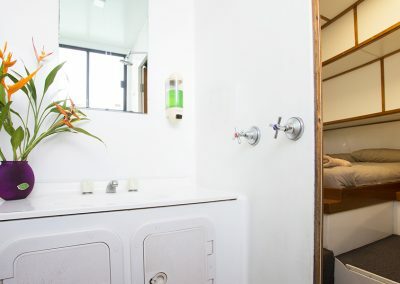 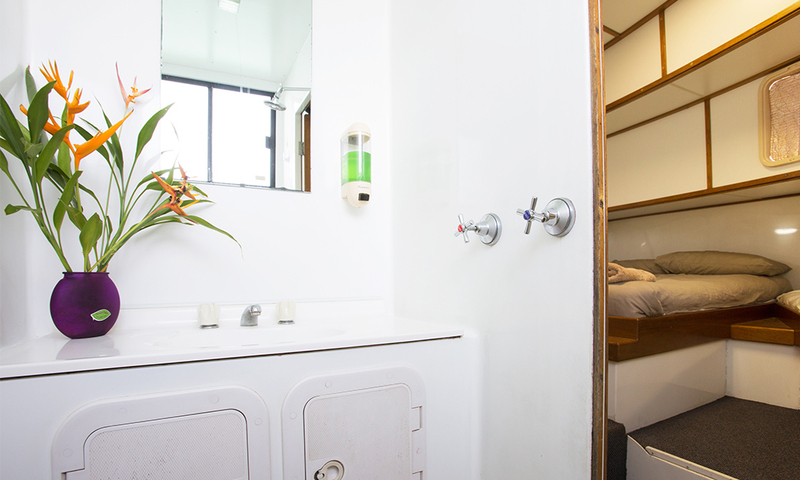 Other bathrooms are located on deck; one on the rear main deck and another on the upper level opening to the rear deck. 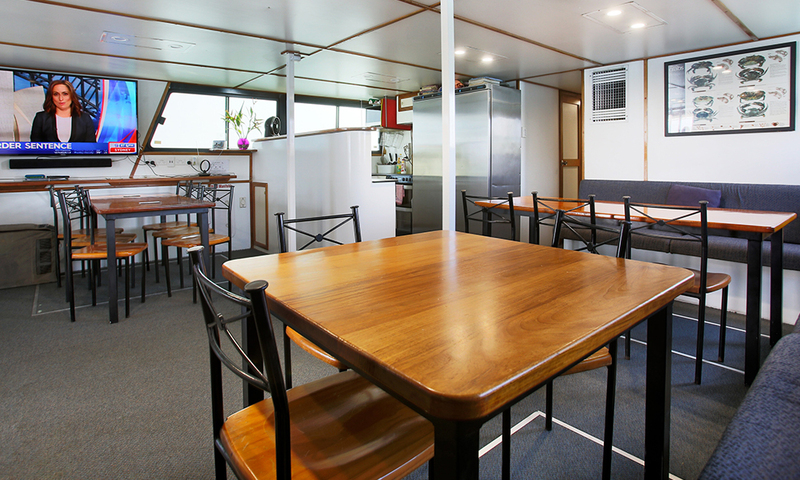 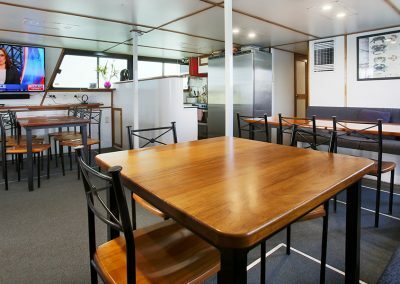 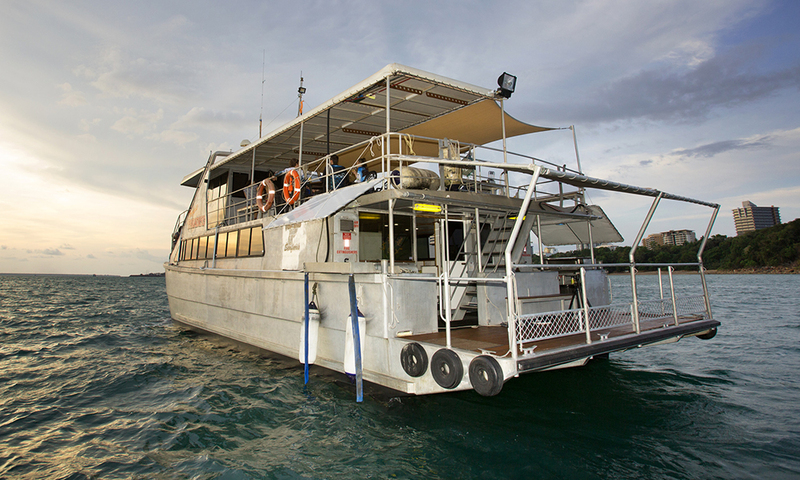 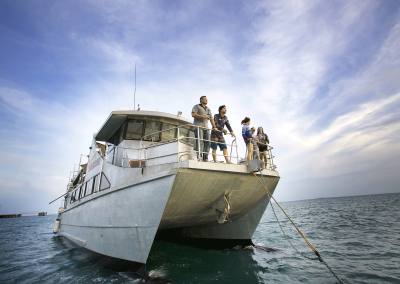 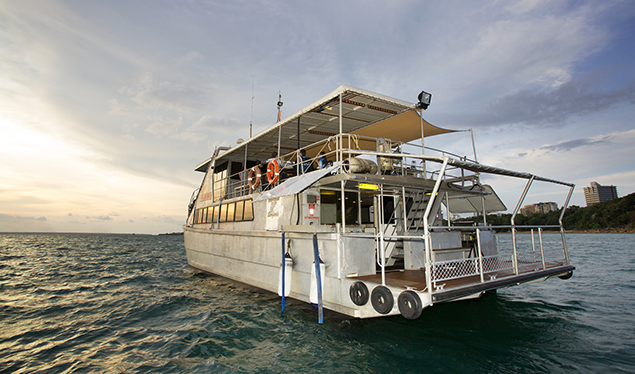 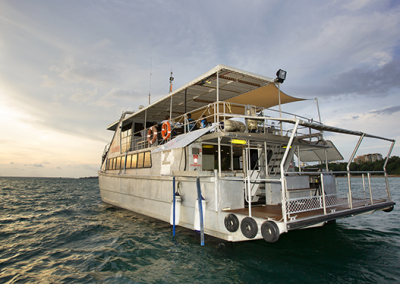 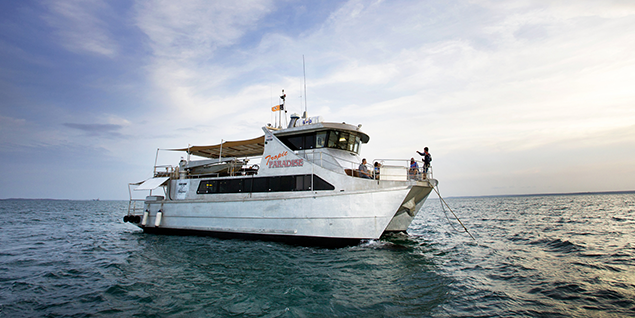 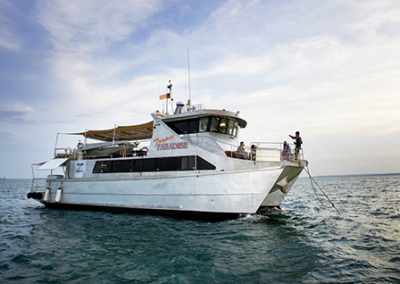 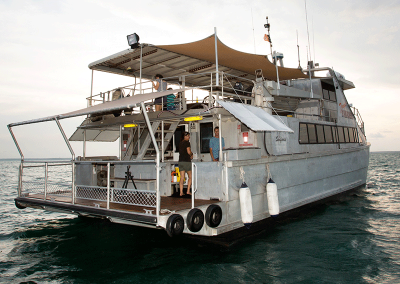 Fully air-conditioned vessel with 6 individual rooms, two with ensuite facilities, capability to sleep 14 pax.